Rem Victorovich Khokhlov would have turned 90 on July 15 2016. An outstanding Russian physicist, talented promoter of science and higher education both in Russia and around the world, head of the university, vice-president of the USSR Academy of Sciences, founder and head of the Chair of Wave Processes, he tragically died in a failed attempt to climb to the highest peak of Pamir on August 8 1977. Rem Victorovich’s name is widely known in the global scientific community. It has almost become a symbol of such scientific areas as nonlinear optics, nonlinear acoustics and laser physics. His ideas, methods and scientific achievements have become classic. The results he achieved are so deeply embedded in scientific daily life that they are taken for granted – as if they have always existed. R.V. Khokhlov was a pioneer and discoverer who inspired projects and encouraged people, lavishly giving his ideas to his numerous disciples. He was endowed with incredible intuition and a hypersensitive feeling for potential in science. R.V. Khokhlov’s intensive work allowed him to do what others could not have achieved in a lifetime. Articles and books have been written describing his amiability and adherence to principles. There is no denying that he invariably demonstrated these qualities both in science and in personal relationships, at his department and in the university administration. Rem Victorovich was not afraid of taking responsibility in difficult situations. Very many people are grateful to him for help in hour of need. Khokhlov did not remain silent when a word could save, and everyone else refused to speak. Rem Victorovich had a phenomenal intuition and an acute sense of justice. He was capable of sorting out a great amount of information, selecting the most important facts in a sea of journal articles, everyday matters, papers, and telephone calls. His thought ran ahead of time, his working day starting very early and hardly ever ending. He was seen doing his morning exercises at seven, and he would appoint meetings at ten and even eleven p.m. He succeeded in climbing to some of the highest mountain peaks. He was an excellent driver, jogger, mountain skier, swimmer, a lover of classical music and literature. As all of us, he had to prove himself worthy of guiding every generation of students coming to the university and into the world of science annually. His personal qualities allowed him to pass that test with brilliance every year. Students and university staff could always reach R.V. Khokhlov – he dealt with problems instead of delaying them, retaining the highest form of professionalism in science, a prerequisite for any kind of creativity. R.V. Khokhlov left a rich scientific heritage in nonlinear optics and acoustics, quantum electronics and laser physics, coherent gamma-optics, laser chemistry and biology, theory of nonlinear oscillations and waves. He created a great school in the area of the physics of wave processes. His disciples became renowned scholars, laboratory chiefs, department chairs and headed scientific institutions. He supervised the studies of over 50 PhD students and Masters of Science, many of whom became well-known scientists developing the traditions laid down by Khokhlov and passing them to new generations of researchers. Rem Victorovich meticulously analysed the scientific work of his students and colleagues, leaving them plenty of room for independent thinking. The twenty-five years R.V. Khokhlov dedicated to active scientific work were very prolific. After finishing his post-graduate studies at the department of oscillation physics at the physics faculty, Rem Victorovich defended his candidate thesis devoted to the theory of nonstationary nonlinear oscillations in waveguides. Beginning with 1954 R.V. Khokhlov was developing the method of shortened equations phase simplification, based on the division between fast and slow oscillatory processes applied to certain problems of radiophysics. These works laid the foundation of his doctoral thesis that Khokhlov defended with brilliance in 1961. Problems of nonlinear waves dispersal appealed to R.V. Khokhlov. In order to research the rich scattering environment he developed the method of slowly changing amplitudes, describing the synchronous interaction between a small number of harmonic waves. He also devised the elegant method of the gradually changing wave profile to analyse weak dispersion, when the number of interacting spectral components is rather large. Rem Victorovich clearly understood that the multifarious nonlinear wave phenomena could be fully demonstrated in optics as well. Together with S.A. Akhmanov, he founded the first Laboratory of Nonlinear Optics in USSR in 1962 uniting talented young experimentalists and theoreticians at the physics faculty of Moscow State University. The first years of its work witnessed the efforts of radiophysicists and specialists in optics making outstanding results. In 1962 R.V. Khokhlov and S.A. Akhmanov became the first to suggest using schemes of parametric amplifiers and generators of light with gradually modified frequency. That same year, together with A.I. Kovrighin they managed to create the synchronous generation of the second optical harmonic, and later powerful generators of the highest optical harmonics (from the second to the fifth) were made. In a large series of theoretical investigations supervised by R.V. Khokhlov scientists clarified the basic features of harmonic generation, of difference and sum frequencies, parametric amplification at different initial intensiveness in consideration with phase detuning. R.V. Khokhlov and V.T. Platonenko were the first to develop the classic theory of forced combination scattering. Summing up the research carried out previously, R.V. Khokhlov and S.A. Akhmanov published a unique monograph in world scientific literature “Problems of Nonlinear Optics” in 1964. This book inspired the fast development of nonlinear optics in USSR. The Laboratory of Nonlinear Optics was recognised all over the world, and in 1965 the Chair of Wave Processes was opened on its basis. This allowed to significantly broaden the scope of issues investigated in the field. The scientific round tables invariably headed by R.V. Khokhlov were the place where new projects were being discussed. Their guests were collaborators from various laboratories and institutes. R.V. Khokhlov, Chair of the Department of Wave Processes, meets Assistant Professor V.V. Fadeev, head of the practical course on laser physics and nonlinear optics, reporting on the launch of the course (1965/1966 academic year). In 1965 R.V. Khokhlov, S.A. Akhmanov, A.I. Kovrighin, V.V. Fadeyev and A.S. Piskarskas experimentally created the parametric generator of light in which the second harmonic of a neodymium-based laser was transformed into frequency modified infrared radiation. Together with A.P. Sukhorukov R.V. Khokhlov was intensively developing the mathematical apparatus of nonlinear optics applied to real laser beams and impulses, that currently form the basis of quasi-optics of dispersing anisotropic nonlinear environments. The approach they worked out was particularly used to study self-interaction and interaction of powerful light beams and impulses. The results obtained made it possible to define the principle of optimal focusing in frequency doublers, to understand the phenomenon of diffraction incoherence, to predict the three-wave interfocusing and parametrically bound solitons in quadratic nonlinearity. R.V. Khokhlov, A.P. Sukhorukov and their disciples suggested a surprisingly clear innovative approach to describing laser illumination of cloudy environment on the basis of introducing water availability changing in a laser-induced evaporation of liquid aerosols. In collaboration with D.P. Krindach, the first experiments were carried out on the thermal self-defocusing of continuous laser radiation in nonlinear liquids. In 1967 the review of nonlinear diffraction and self-focusing written by S.A. Akhmanov, A.P. Sukhorukov and R.V. Khokhlov in “Advances of Physical Sciences” (“Physics-Uspekhi”) had a high citation count. Textbooks and monographs featured the universal method of describing self-focusing with no aberration developed by this group of scientists. R.V. Khokhlov, K.N. Drabovich, A.I. Kovrigin, S.A. Akhmanov discussing joint research work. R.V. Khokhlov’s work “Infrared Holography by Methods of Nonlinear Optics”, written in co-authorship with E.S. Voronin, V.S. Solomatin and Yu.A. Ilyinski, began a series of important investigations of visualising infrared waves. R.V. Khokhlov and Yu.A. Ilyinski launched the research of coherent gamma-optics. They found new possibilities of creating gamma-lasers using long life isomers. This work stimulated further investigations in this country and abroad, laying the foundations of a new promising field of study. In a series of works done at the beginning of his scientific career R.V. Khokhlov demonstrated that the method of shortened equations secondary simplification he had developed could considerably broaden the scope of issues relating to the nonlinear theory of oscillations that could be effectively analysed. Applying this method, Rem Victorovich solved a number of important problems connected with synchronising autogenerators, developed the nonlinear theory of electronic microwave appliances, of quantum generators and travelling- wave parametric amplifiers. R.V. Khokhlov, A.S. Akhmanov. Late 1960s. The mathematical apparatus of modern nonlinear acoustics was practically developed in the works initially carried out with S.I. Soluyian and continued with O.V. Rudenko, A.S. Chirkin, and E.A. Zabolotskaya. They worked out and analysed the now classic equations for flat, spherical and cylindrical waves with finite amplitude propagating in dissipative and dispersing environments, a number of important physical results was achieved. R.V. Khokhlov and his co-authors designed a series of concrete models of parametric ultrasound amplifiers. The approaches used in optics while describing the self-interaction of laser beams were originally generalised to suit the aims of nonlinear optics. The equation for acoustic beams (now called the Khokhlov-Zabolotskaya equation) that had been created turned out to be a very helpful tool for solving a broad range of practical problems, including the development of the parametric hydrolocator theory. Khokhlov’s school of scientific thought is not only a community of young researchers successfully working in scientific centres all over the world after studying at the Chair of Wave Processes created by R.V. Khokhlov, and then at the Chair of General Physics and Wave Processes and that of quantum electronics. Khokhlov’s heritage is also a source of inspiration for those people who experienced his influence personally, at the scientific sessions of his chair, at the famous conferences on coherent and nonlinear optics he coordinated. Khokhlov’s school is also a special spirit of communication that he set by his impeccable scientific ethics, sincere amiability, his readiness to listen and understand. R.V. Khokhlov always created around himself a genuinely scientific and affable atmosphere that penetrated all the activities he took up. For his outstanding scientific achievements, R.V. Khokhlov was awarded the Lenin Prize, the State and Lomonosov Prizes, the Lenin Order and that of the Red Banner of Labour, and various academic honours. Russian and world science is still strongly influenced by Rem Victorovich, although almost forty years have passed since his death. Several generations of his colleagues and disciples have been intensively developing the scientific trends introduced by R.V. Khokhlov. R.V. Khokhlov after his lecture on gamma lasers atthe Gorky School in Nonlinear Waves (Gorky, 1975) talking to G.I. Barenblatt. It was on R.V. Khokhlov’s initiative that symposiums and later conferences on coherent and nonlinear optics, began to be held in our country in 1965. All those involved in their activities remember Khokhlov’s brilliant reviews of the latest results and tendencies in nonlinear optics and laser physics. In 2013 the ICONO/LAT conference took place in Moscow, gathering over 1000 participants. The oncoming ICONO/ LAT conference will be held this September in Minsk. Moscow University is actively engaged in its monitoring. The Nonlinear Optics Block named after R.V. Khokhlov is a tribute to his achievements. For over 35 years dozens of students and scientists, engineers and sometimes guests from abroad, as well as government functionaries have been going through its hall every day. The Chair of General Physics and Wave Processes is located in the Nonlinear Optics Block. This is the current name of the department founded by Khokhlov, that later merged with the Chair of general physics at the faculty of mechanics and mathematics headed by Sergey Alexandrovich Akhmanov. The Chair of quantum radiophysics (later – of quantum electronics) is also in this block. Both chairs share not only the same founders and common scientific interests, but also a sincere longtime friendship and the spirit of scientific competition. It was Rem Vitorovich’s dream to create an Institute for Nonlinear Optics. The MSU International Laser Centre is by no means the institute Khokhlov had dreamed of. But this small organisation has been working for more than 25 years, and its scientific results are well-known all over the world. The 50th anniversary of the Chair of General Physics and Wave Processes in 2015 and R.V. Khokhlov’s 90th anniversary in 2016 encouraged its employees who remember those times and the people who studied there to share their reminiscences about those distant years, about the people who deeply affected its history, and to formulate the scientific results being the pride of those belonging to the R.V. Khokhlov - S.A. Akhmanov school of thought. The idea of publishing their reminiscences in the form of a book was put into practice (its pdf file can be found at the website of the physics faculty). The articles in the book are very different: beginning with academic accounts of the chair’s history to stories about several encounters with people who strongly influenced the authors’ lives. The subjects touched upon in the book reflect the dearest things that remain in the authors’ memories. For this reason the texts have not been edited, with the exception of proofreading. Building of Nonlinear Optics, 2016. For nearly fifty years, people who became laureates of various prizes have worked and keep on working at the chair created by R.V. Khokhlov. These are Stalin Prize laureates V.S. Fursov (1949, 1951, 1952) and S.P. 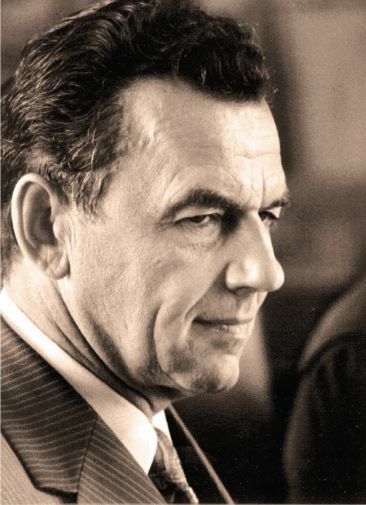 Strelkov (1960); Lenin Prize laureates R.V. Khokhlov (1970), S.A. Akhmanov, L.V. Keldysh (1974), A.P. Sukhorukov (1966); USSR State Prize laureates A.P. Sukhorukov (1966), E.S. Voronin (1975), Yu.A. Ilyinski (1975), V.S. Solomatin (1975), D.N. Klyshko (1983), A.N. Penin (1983), V.V. Fadeyev (1983), A.I. Kovrighin (1984), V.P. Kandidov (1985), O.V. Rudenko (1985), R.V. Khokhlov (1985) R.L. Stratonovich (1988), V.K. Novik (1989), Yu.L. Klimontovich (1991); Russian Federation State Prize laureates R.L. Stratonovich (1996), O.V. Rudenko (1997), A.S. Chirkin (1997), О.А. Aktsipetrov (2002); laureates of the President of the Russian Federation’s Prize for Education L.V. Keldysh (2003), V.A. Makarov (2003); Lomonosov Prize laureates S.A. Akhmanov (1964), L.V. Keldysh (1964), R.V. Khokhlov (1964), R.L. Stratonovich (1984), А.А. Karabutov (1991), O.V. Rudenko (1991), О.А. Sapozhnikov (1991), N.I. Koroteyev (1996), V.P. Kandidov (1997), A.S. Chirkin (1997), V.A. Aleshkevich (1997), V.I. Emel’yanov (1998), V.A. Makarov (2006), A.P. Sukhorukov (2006). The laureates of “youth prizes” who were brought up as researchers at the chair gained scientific recognition. These are Lenin Komsomol Prize and Russian Federation Presidential Prize for Young Scientists laureates A.V. Andreyev (1983), S.M. Gladkov (1984), V.N. Zadkov (1984), O.A. Aktsipetrov (1988), S.V. Govorkov (1988), A.M. Zheltikov (1997), A.B. Fedotov (1997). R.V. Khokhlov died early: he was only 51, when the tragic circumstances during the ascent to one of the highest peaks of Pamir led to his untimely death. His name is forever inscribed in the annals of Moscow University’s history. He left a great heritage – as a scholar, a teacher, a personality, a brave man. If he were alive, he could be proud of his disciples continuing his work, and of his children, who are well known in the scientific world. The whole of his not very long life was dedicated to Moscow University. Leaving his life to history’s lace. In circles of his magnetism. Mid dreams and feats to which we will aspire.